This course covers hormone imbalances and how to correct them with natural hormone replacement. Additional strategies to balance hormones such as through nutrition, herbal medicines and supplementation are covered. You will also learn how to interpret laboratory hormone tests and the best tests for each hormone. The protocols packet has exact dosing recommendations for each hormone covered in this course. The Functional Medicine Fundamentals and Master Thyroid Disorders courses are recommended due to the intimate connection between the digestive system, nutrition, essential fatty acids, thyroid hormones etc. and reproductive hormones. If you are confident in all the material covered in the Functional Medicine Fundamentals and Master Thyroid Disorders course, then they are not necessary as a prerequisite. 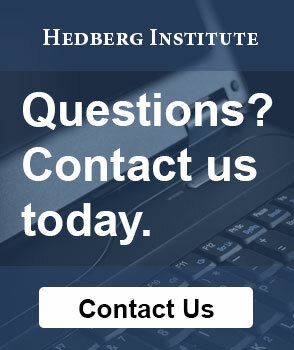 At the conclusion of the course, you will receive a certificate of completion from the Hedberg Institute.